I recently worked with a client who needed me to come up with some festive holiday cocktails. Since I worked as a bartender for a number of years I thought this would be easy peasy. I toyed with a few ideas, Poinsettia Punch (a twist on a traditional Cosmo), a Peppermint Martini (peppermint schnapps, a cream liquor and festive candy canes for a garnish) and finally a Eggnog Martini. She loved the Eggnog Martini idea and so away we went making them. And let me tell you I have never had a more popular drink. Ever. People were drinking these like it we were partying like it was 1999. To bad it’s not cool to drink eggnog year round or this would be all the rage. 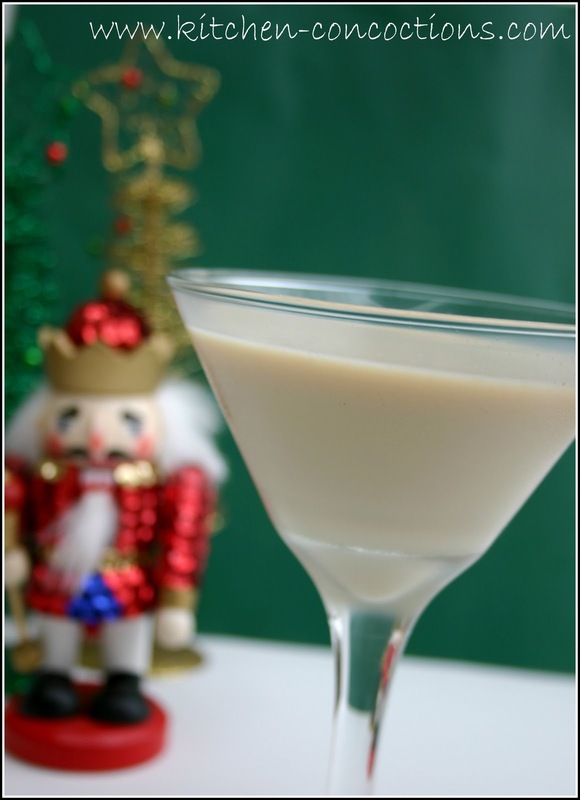 Or maybe it is good we don’t drink eggnog year round and only at the holidays, making these martinis that more special. 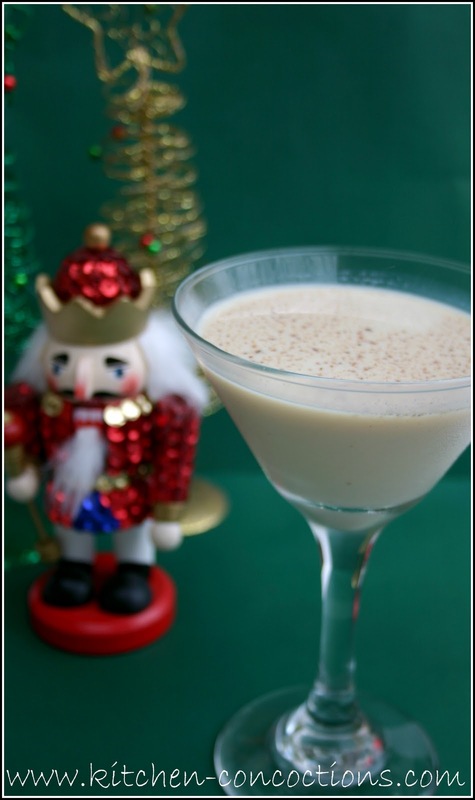 So if you are having any holiday gatherings the next few days, be sure and show up with the ingredients to make these Eggnog Martinis and you will be the coolest kid at the party! Combine all ingredients in shaker filled with ice. Shake vigorously for 30 seconds to 1 minute. Strain ice and serve in martini glasses. Top with nutmeg.